Your wedding should definitely have your own stamp on it. 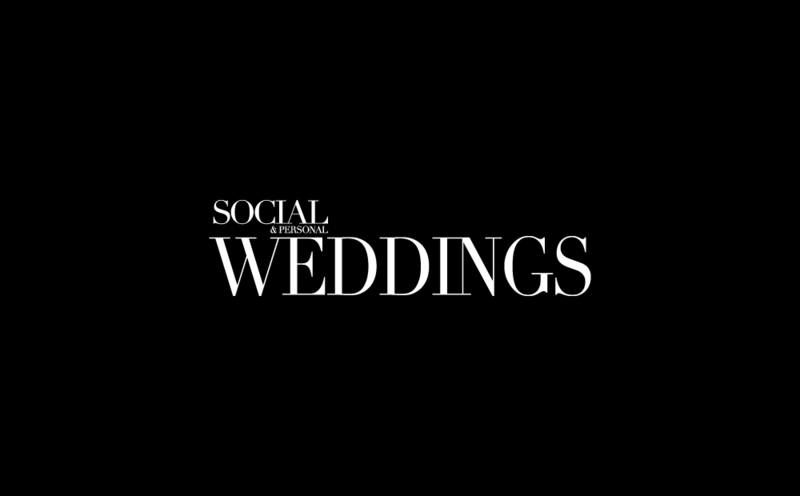 With weddings having similar elements and details, the easiest way to make a creative and unique mark on your special day is to personalise it. 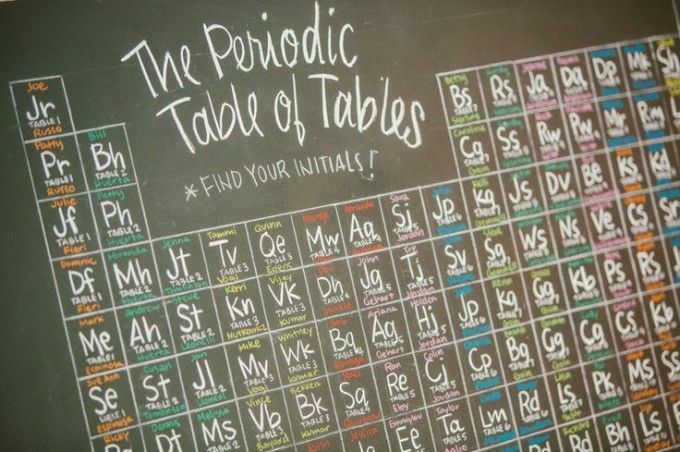 One of our favourite personal themes is geek chic and there are plenty of cute details for geeks you can add to your wedding if you're that way inclined. Whether it's for your passion, your hubby's passion or to show off how much you're both into Star Wars, there are plenty of geeky elements you can add it to your day. 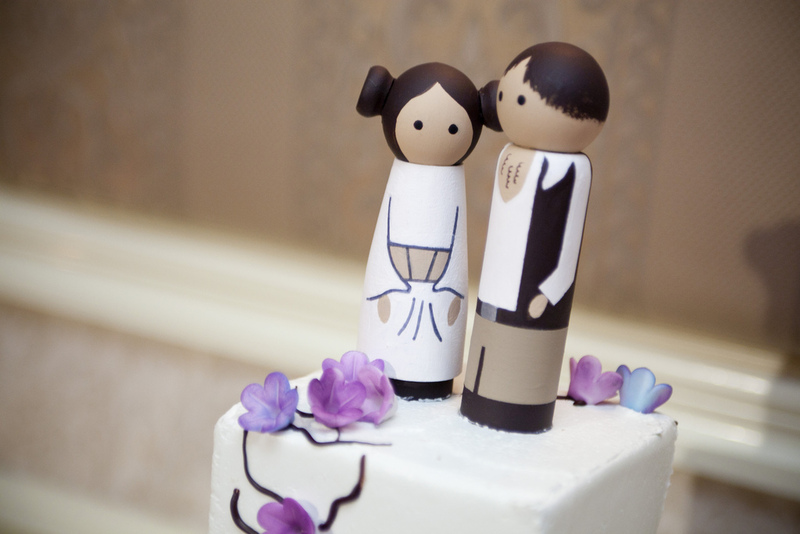 Depending on what type of self-professed geeks you both are, you can add anything from superhero buttonholes to sci-fi cake toppers. 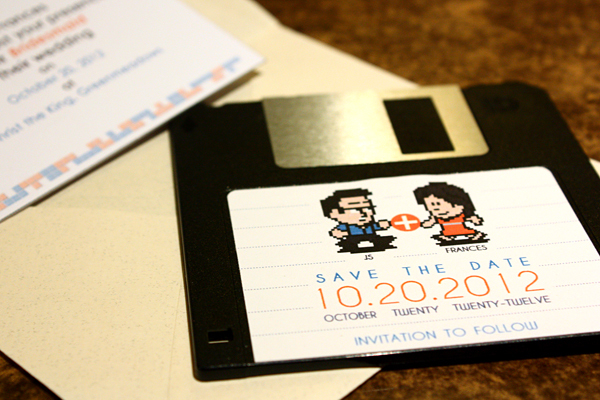 We love the idea of sending your guests a floppy disk save the date like this one. Alternatively, given the year that's in it, you could go Star Wars crazy with the rest of the world, and have everything from light sabers to Star Wars themed cake toppers. Just be sure to steer clear of the whole Luke Skywalker and Princess Leia comparison...for obvious reasons. You could also go full-on comic book hero, especially if your groom fancies himself a bit of a superman. You don't have to have tacky costumes or a cape to give him that superman look. Simply gift him with these amazing superman as a subtle superhero accessory, or how about a pair of comic book hero cuff links? 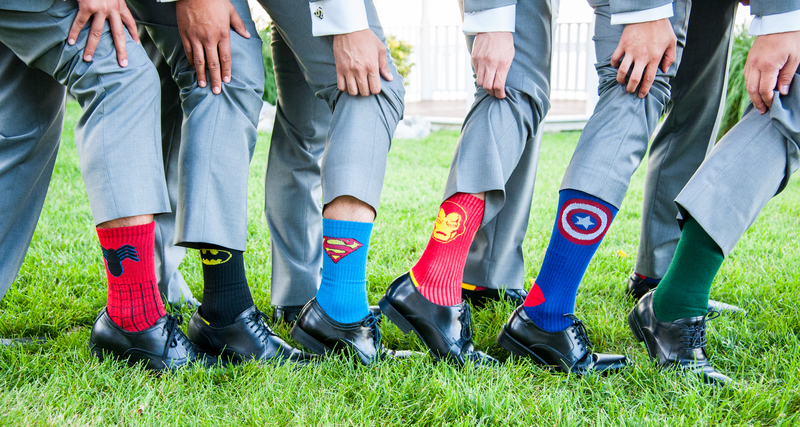 Have all the groomsmen join in so you have your own set of superheroes waiting for you at the top of the aisle. If you don't want to give your geeks-themed wedding a dedicated movie or type, simply mix and match all the things that make you and your partner unique, whether that's an apptitude for maths, a passion for science or just general nerdiness, don't be afraid to show it off.